Palmer said that such prophets learn to listen, develop skills to deeply listen and tell the truth. Weaving the story of the call of Samuel throughout his sermon, Palmer noted that not much has changed in the centuries that have past since the ancient story. In learning to listen, Palmer told the new ordinands that it is in the partnership of old and new that God can work. 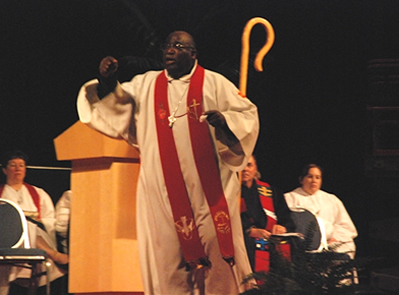 “An old worn-out priest played his part at keeping God’s program going at Shiloh,” he said. In developing skills for deeply and really listening, Palmer acknowledged the journey is not without risk. “If you don’t want to know what you should be doing in the future, then don’t ask God because God will tell you and it can shake up your world,” he said.